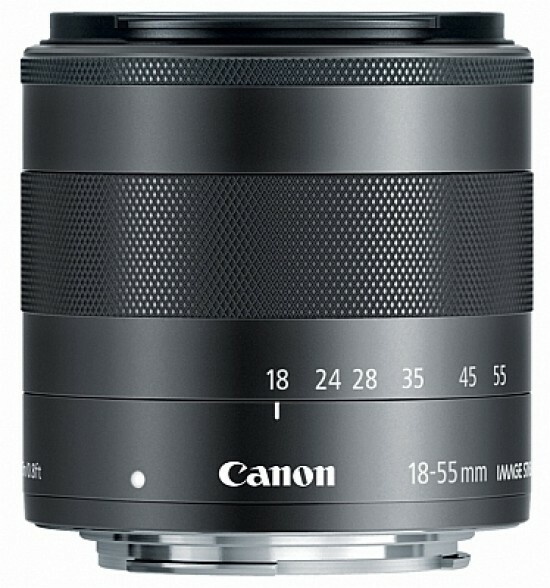 The Canon EF-M 18-55mm f/3.5-5.6 IS STM is a new M-mount standard zoom for the Canon EOS M compact system camera. With an angle-of-view range of 74°20’ - 27°50’, the Canon EF-M 18-55mm f3.5-5.6 IS STM is equivalent to a 29-88mm lens in a 35mm system. The optical formula comprises 13 elements in 11 groups, including 3 aspherical elements, and an iris diaphragm with 7 rounded blades. Other features include optical image stabilisation; an inner focusing system with STM technology, supporting the EOS M’s Movie Servo AF function for smooth and quiet continuous autofocus during video shooting; a close-focus point of 25cm; and a 52mm filter thread. The Canon EF-M 18-55mm f/3.5-5.6 IS STM lens will be available from October for $299.99/£269.99/€320.99.